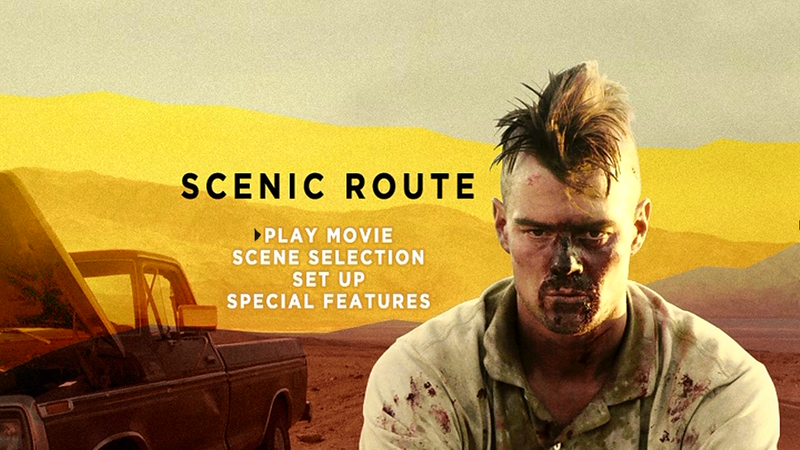 Every once and awhile I run across a film that simply blows me away and Scenic Route is one of those films. It has one of the most basic plots you can find, but it takes that plot and adds some damn good acting and a very well written script. 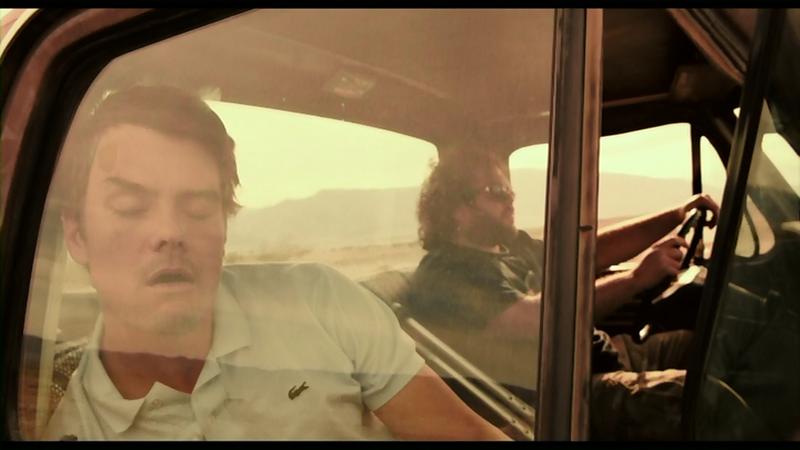 This film follows two friends Mitchell and Carter who are on a trip back home and they decide to take the scenic route which takes them through the desert. Carter decides to act like the truck broke down so they could have some time to talk which turns into them going at each other. 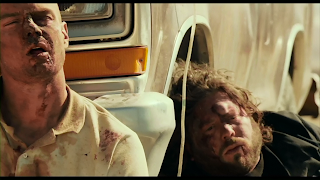 After Carter confesses to Mitchell about what he did with the truck they pass up on a ride into town, but the truck then dies. Stuck out in the middle of nowhere with no food or water and tensions running high the only question that can be asked is will they both get out alive?! The thing that make this film so damn good is the actors involved and how they work off one another so well. Carter is a carefree person who is cashing the dream of being a writer and has no real responsibilities in life. Mitchell is on the other hand different and is a "responsible" adult who has a family and a steady job. The two have been friends for a long time and they each went in different directions which has put tension on their friendship, but they still are trying to grasp onto what little they have. 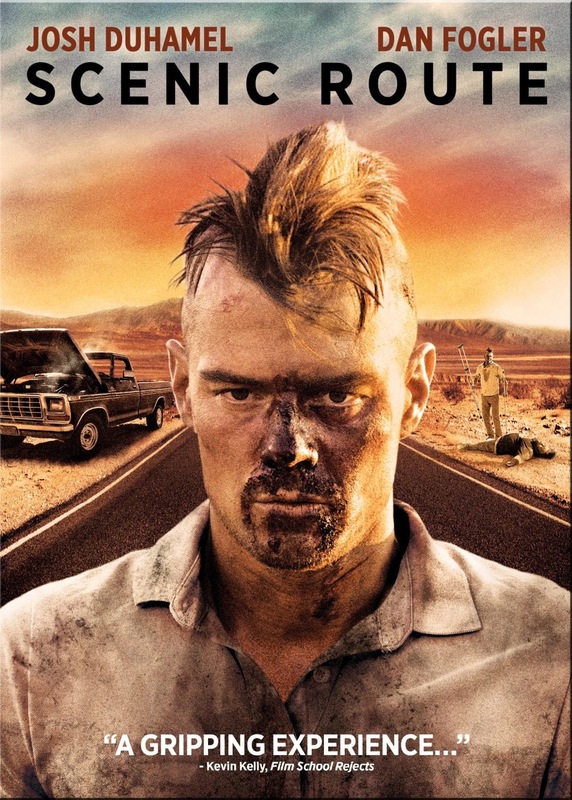 This is a film that is very character driven and by it being set in the desert it helps to keep focus on them instead of being distracted by other characters or surroundings. 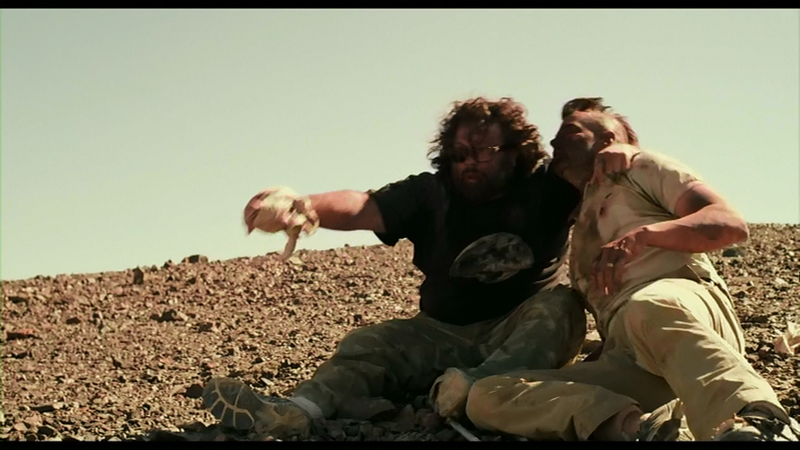 The film goes back and forth with the two as things get heated between them then they forgive one another and it goes back and forth, but doesn't overly do it and make the film seem repetitive. Both of the actors involved are great and I have really enjoyed their past works. 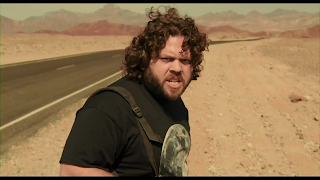 Carter is played by Dan Fogler who I really liked in Take Me Home Tonight and Fanboys. 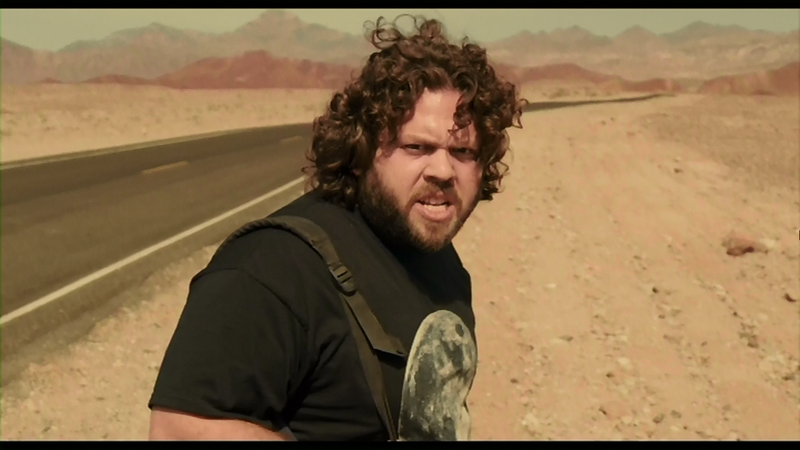 He reminds me of "Booger" from Revenge of the Nerds in some of his roles. 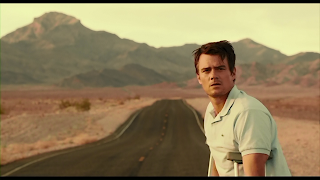 I normally have seen him in comedic roles which he is good in, but I really think he is excellent in a more serious role that he has in Scenic Route. Mitchell is played by Josh Duhamel who I remember fromTuristas and I really liked his role then. Now I am not too familiar with alot of his roles, but I can say he carried his character perfectly in this film. Both guys are simply excellent for this film and I really think there could not be a better pairing than those two. Overall this was an excellent film that if you are a fan of films that revolve around the characters more and has witty dialogue then you really need to give Scenic Route a shot. One other film that I can compare it to as far as it being character driven and well written is "I Melt With You" which was fantastic as well. The picture quality and audio quality were great and may I even dare say that the DVD looked damn good and if you want this one you really don't need to buy the blu-ray if you don't want to. Now I will be buying this on blu-ray because I loved it that much!